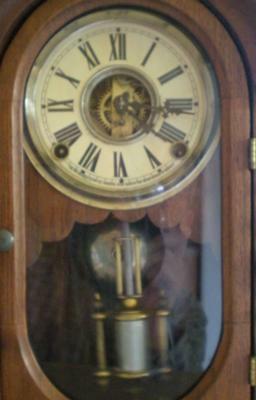 I have a clock made by the Wm. L. Gilbert Clock Company of Winsted, Conn.
At the top of the dial it says 'Pat Mar 21-76. The clock keeps perfect time. Any information is greatly appreciated.